"This is all in service of allowing the actors… to enter into the 'universe'." 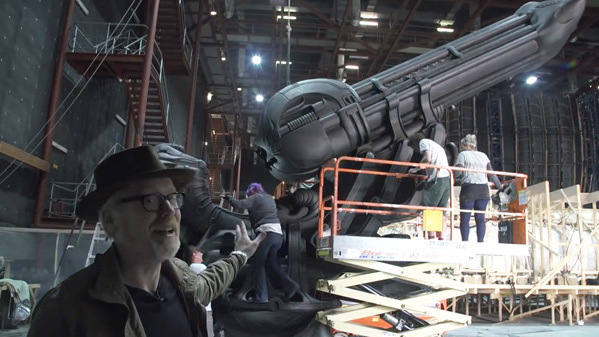 If you haven't realized, Adam Savage is a huge movie geek. Not only has he worked on movies, but he loves to be a part of them and learn about all the behind-the-scenes trickery that makes them so magical. The latest video from his web series Tested goes behind-the-scenes of Ridley Scott's Alien: Covenant. Savage goes on set and examines some of the impressive set pieces, including the Engineer's chair inside the main Dreadnought ship. This is cool to see, but obviously they're working hard to make sure nothing is spoiled. I wish we could see more, but alas we have to wait (just a few more weeks) until the movie is in theaters to learn all the secrets. For now, enjoy.